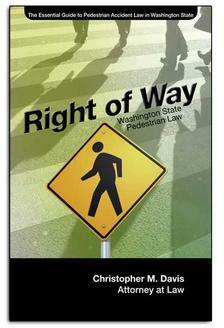 Pedestrian accidents can leave victims with serious injuries that can take years to recover from. In extreme cases, vulnerable pedestrians suffer life-altering injuries due to the nature of these collisions, and fatalities in pedestrian collisions are not uncommon. 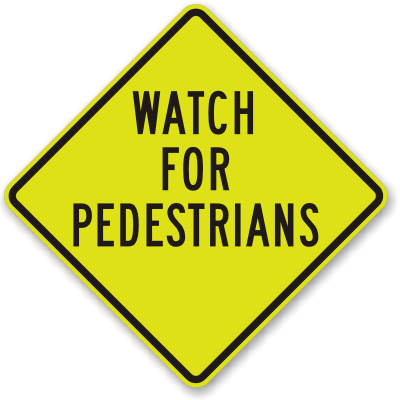 It is estimated that more than 4,000 pedestrians are killed in the United States each year, with steady increases in the rate of fatal collisions each year. In Washington state, safety advocates are looking into the impact of marijuana legalization and other possible contributing factors when it comes to pedestrian accidents. Distracted Drivers. Inattentive driving, whether it is due to cell phone use or being distracted by other passengers in the car, is one of the more common causes of pedestrian accidents. Drivers must always check for pedestrians before crossing through an intersection, and they can be easy to miss if you are not paying attention. Poorly-Designed Roadways & Intersections. Visibility is important when it comes to safe intersections, but transportation departments sometimes implement poorly-designed road features – such as large support pillars and columns – that can hinder the visibility of both motorists and pedestrians alike. Weather Conditions. A driver who is traveling too fast for conditions may be unable to stop in time to avoid hitting a pedestrian. This is why it is always important to take the current weather conditions into account when driving, especially when approaching an intersection where pedestrians are present. Jaywalking. Pedestrians who dart out into traffic against the signal or in an uncontrolled intersection put themselves at risk of serious injury or even death. Typically, a pedestrian who is injured while jaywalking will have a difficult time successfully pursuing a personal injury claim against the driver who hit them. Poor Visibility At Night. While drivers have a responsibility to look out for pedestrians, people who are walking at night must also have a responsibility to make themselves more visible to motorists. Wearing bright or reflective clothing can go a long way to making sure that drivers are able to notice pedestrians. Drunk Driving. Alcohol impairment slows reaction time and increases the chances of a serious accident. Drunk drivers are much more prone to fail to notice a pedestrian, especially since many drunk drivers are out on the roads at night. Drug Impairment. Statistics show that marijuana legalization in Washington state may have a correlation with an increase in pedestrian accidents. Impairment from marijuana and other drugs can affect pedestrians and drivers, and it’s important to determine if a driver or pedestrian was under the influence at the time of the collision. Washington state law permits injured pedestrians to pursue a personal injury claim against the driver who hit them to recover damages, including medical bills, lost wages, and pain & suffering after a serious accident. In addition to identifying the proper at-fault party, it is also important to determine the cause of the accident that injured you. Identifying other contributing factors to your accident may also be important, as there may be other potential defendants and crucial evidence may come into play. It may also be in your best interests to consult with an experienced personal injury attorney to learn more about your legal rights and determine if you may benefit from legal representation. Call our office in Seattle at (206) 727-4000 or use the confidential contact form on this page for a free case review & legal consultation with our award-winning legal team.